"AIM’s Master in Development Management program changed me so that I am biased towards looking for the creative solution rather than fall back on formulaic responses to development challenges." EMDRCM will develop DRC managers in the Philippines and Asia who will take the lead in professionalizing, optimizing, and implementing management responses in disaster and crisis situations. 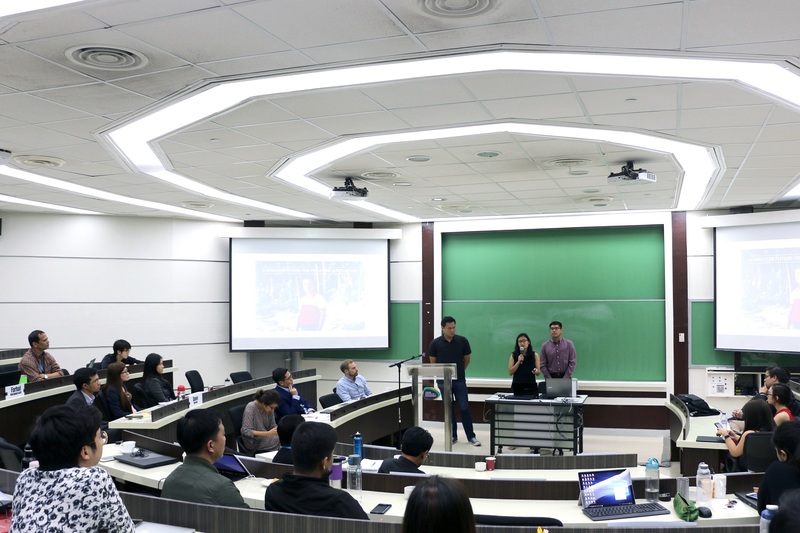 Through the platform, the students hope to improve the Philippines’ agriculture value chain. Team Agriviz presenting their e-Magsasaka platform to the Dev@Work audience. Team Agriviz presented their agriculture e-commerce platform named e-Magsasaka during the Stephen Zuellig Graduate School of Development Management’s (ZSDM) Dev@Work session on 23 March 2018. Team Agriviz is made up of Master of Science in Innovation and Business (MSIB) alumni Aiah Sarmiento, Aaron David, and Jose Gabriel Dimalanta, as well as web developers EJ Tamayao and Glenn Bueno. 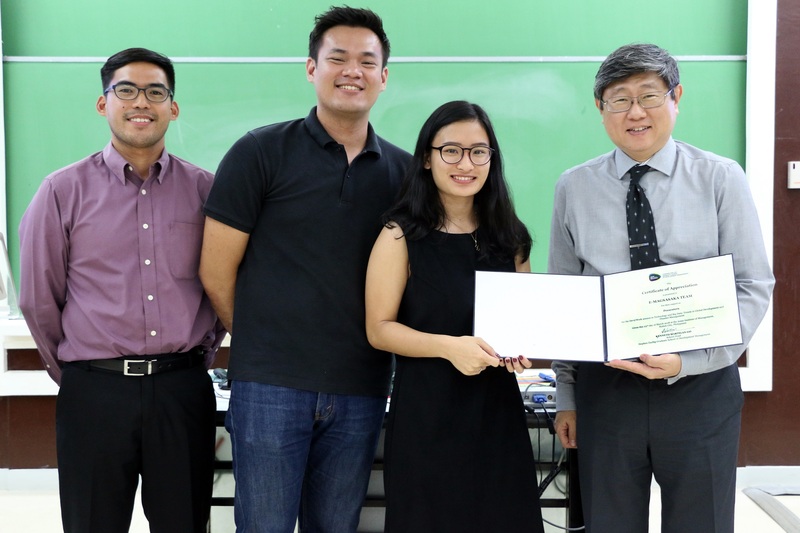 After placing third in the East-West Seed Innovation Olympics in 2017, they were able to get the money needed to launch the e-Magsasaka online platform. The main goal of the project is to address the problems faced by farmers in the Philippines. Through e-Magsasaka, farmers can interact directly with their buyers, reducing production costs by eliminating the need for middlemen. Some of e-Magsasaka’s features are: A farming calendar where farmers can monitor daily tasks, updated inventory display, product price monitoring, and the ability to connect with suppliers and buyers. Additional services are slated for future updates to the platform. (From left) Jose Gabriel Dimalanta, Aaron David, Aiah Sarmiento, and Prof. Kenneth Hartigan-Go at the end of the Dev@Work session. Team Agriviz has already connected four farmer groups with an institutional buyer. The team hopes to incorporate e-Magsasaka by 2019, some time after implementing v3.0 of the platform.